Old fairy tale classics have been alive for so many years for a reason: the basic stories have stood the test of time and resonate with us as much as they did for the folks of the time. However, hearing them over and over again throughout the years does dull them a bit, stripping their inviting charm and replacing it with pure old boredom. Thankfully though, there is nothing a skilled writer cannot solve with the help of his trusty pen (or pencil, or keyboard), and so Neil Gaiman set out to add a new twist to these old tales. The result is The Sleeper and the Spindle, illustrated with jaw-dropping details by Chris Riddell. This book basically brings Snow White and Sleeping Beauty together in the same story, though the former is only known as The Queen. Anyhow, three dwarves one day set out on a quest to bring some silk for The Queen who is to be wed soon, but encounter stories of a sickness spreading in a neighbouring kingdom, one that lulls everyone to sleep... with there being a princess in a castle that hasn't woken in over seventy years. The dwarves return to their queen and inform her of the situation. Not being keen on the wedding to the begin with, The Queen decides to kiss her prince goodbye, takes up her sword and shield and, with the dwarves, heads onwards to face this curse and free the princess. 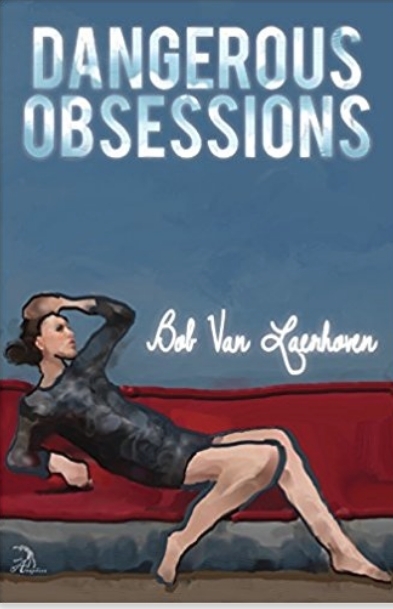 Bob van Laerhoven is a Flemish author whose 30+ novels have been published in Belgium, France, Canada and The Netherlands. 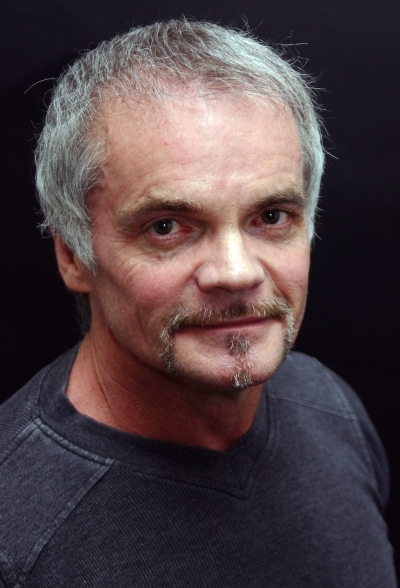 His 2007 novel Baudelaire's Revenge was the winner of the Hercule Poirot Prize for the best crime novel of the year. There are some basic rules known authors recommend to all aspiring writers out there, but for the most part every one of them has his or her own unique method of doing things. Good authors are the ones who have managed to develop a system that works for them, and there is no insight greater than the one their personal experience can provide. Ladies and gentlemen, we proudly present an email interview we conducted with famous Belgian author Bob Van Laerhoven, discussing his opinions and philosophies as a writer, as well as his best-known, sensational novel, Baudelaire's Revenge. See the world of literature through his experienced eyes, and enjoy! Q: Where you already a writer in your school years? How good/bad at it were you? BvL: A devilish question indeed. I’ll explain why. The need to write stories came to me when I was about twelve. In retrospect, it was strange that even at that age, I was fascinated by war as a theme, not knowing that so many years later I would become a travel writer in conflict zones for 13 years. I was the second son of hard working parents. There were no books in the house to speak of, but my mother was a cleaning lady in a mansion where two rather old and very nice people lived. Though human civilization has been developing over time as a whole, something constantly shifting, transforming, losing and creating, as individuals we find ourselves separated from countless others by the concept of time. Innumerable are the ones we'll never meet, and though our lives were certainly different, there are some concepts that unite all humans on this Earth, things particular to us as a species. Perhaps one of the main traits setting us apart from the rest of the living organisms out there is our ability to experience love for others, to define what it is and have our actions guided by something so abstract. As most people know, all things can be perverted, and love is no exception; one day or another, virtually each one of us will come face-to-face with its more deranged and twisted forms... a burden that binds us all together. While on one hand the invention of planes opened the doors for quick worldwide travel, as it happens, they also became a new (seemingly popular) target for terrorists who are looking to take some people hostage. Many airplane-related tragedies have occurred in the past decades, yet there are few that can compare to what happened in 1976 when Flight 139 from Tel Aviv to Paris was taken hostage by German and Arab terrorists, demanding the release of many others. The plane was diverted to Entebbe airport, under the rule of Idi Amin who had exactly zero interest in getting involved. In Operation Thunderbolt, historian Saul David recounts the whole affair from beginning to end. We get to see what it was like on board of that plane, how the information of its capture travelled around the world, what the hostages thought and felt the whole time, how they were treated, what was happening in the heads of the terrorists, what the Israeli government was trying to accomplish the whole time... you pretty much get the whole story from A to Z. With the previous two books in the Frontlines series by Marko Kloos we've become somewhat acquainted with Andrew Grayson and the universe this grand space opera takes place in. Basically-speaking, the whole thing begins with an alien invasion, beings of a rather mysterious and undescribed nature possessing immense power. 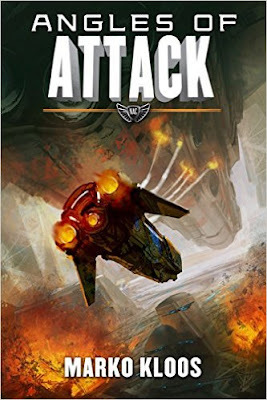 Though the fight does seem like a relatively hopeless one, humanity nevertheless forges onwards in its resistance, leading to the latest book in the series, Angles of attack. The story has come to a point where humans are coming to a decision to set their differences aside and join forces to fight the Lankies, with the main objective being to breach their blockade which cuts off Earth's supply lines. For the purpose of this mission a hybrid task force was put together with specialists from different armies, though it still remains a long shot for their enemies are capable of outmanoeuvring them at every turn, not to mention outgun and outlive in general. There are few professions out there that inspire the same atmosphere of intensity, danger and adventure as spying. Though it is true that in many cases being a spy amounted to getting some documents from point A to point B until one gets caught, there are some out there who went about their line of work with real panache, leaving behind a trail of stories fitting for a novel. Moura Budberg is one such person, often referred to as Russia's most seductive spy, at least during her time. 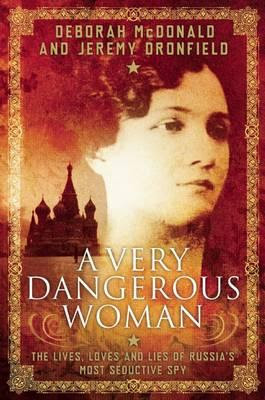 Deborah McDonald (who specializes in biographies) and Jeremy Dronfield have decided to examine that woman's life and weave a narration worthy of her exploits, which resulted in them publishing A Very Dangerous Woman. In this book, the two authors basically turn Budberg's life into the kind of story you can read for both education and entertainment, starting with her birth in 1892 and sparing no expense getting down to the finer details until the date of her death. We get to see the carefree and selfish life she was gifted as an aristocrat, how her life spiralled into the realms of excitement upon meeting Robert Bruce Lockhart, how she spied for the Bolsheviks and the British, how she ultimately sacrificed all but her life in the name of love. Our upbringing is without a doubt the most crucial part of our existence, shaping our essential being in all the necessary places, creating a structure that is hopefully solid and can last in the world. Though our development is certainly directed by nature and genetics, it cannot be denied that nurture plays an equally-big, if not more important part in it. It's not for nothing that many psychologists and whatnot seek the root of some of their patient's problems in their earliest memories: first impressions can indeed end up shaping us for the rest of our lives. Though we all certainly have some interesting stories to tell from our days, in the developed world most of us have quite happy childhoods without too much drama. 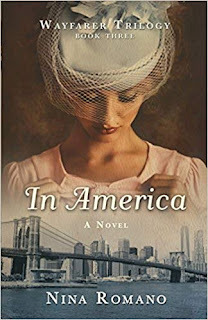 However, for newly-established writer Mary Anna King, her earlier days were far from being normal, something she ponders upon in her first and critically-acclaimed memoir, Bastards. Not too long ago Ann Leckie came out with her debut novel, Ancillary Justice, and sent some real powerful waves throughout the world of books, weaving together an unforgettable beginning for what was set to be an epic science-fiction adventure no aficionados would ever want to miss. Then came out the second book in the trilogy, Ancillary Sword, and truth be told, though it was still a good effort it fell rather short of the expectations set forth by the first book. It felt like the middle child that would hopefully be forgotten for its failure to reach the bar. And now, Ann Leckie gifts us with the final chapter in the sensational Imperial Radch trilogy, titled Ancillary Mercy. The story basically picks up where the previous book left off, as Breq starts to feel as if things are under her control again, as if some stability was achieved in the life of this warship-turned-soldier. Unfortunately for her, the search through the slums of Athoek Station has led to the discovery of someone who shouldn't be, prompting a series of events and escalations in an already-tense interstellar climate, ultimately culminating in a war between all the different parties we've been introduced to so far. With nobody having anywhere to go, the time has come for all to make the final stand, to look down the barrel and brace for the showdown.